I'd like to show my new game concept I've been working on the past few months. 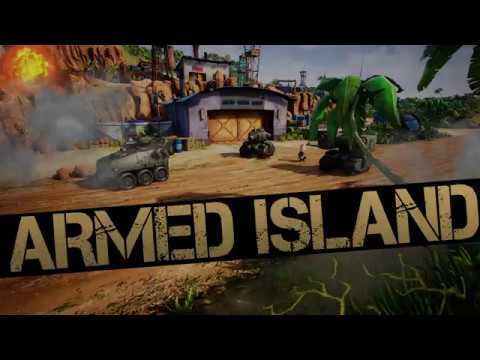 Armed Island (working title) is a real time strategy game on imaginary modern warfare. 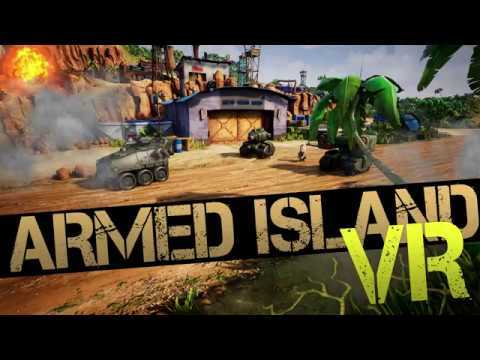 The gameplay is inspired by classics, and features some well known elements like base building, unit training and fast paced battles. I've put together everything in UE4 with blueprints only, using some assets from various marketplaces. Comments and critics are welcome! Last edited by AdamHorvath; 03-21-2017, 05:16 PM. Really cool project! For the first look it has all the usual RTS features, the FOW is quite smooth, maybe the scene is a bit too colorful. The destroyed buildings could sink slowly under the ground as they are built, just inversely. Approx. how many units can the game handle with good performance, especially in a LAN game, and are you using navmesh and behavior trees or a custom system? Recently I have dreamed of a VR RTS, but don't know how fast and precise is in VR the unit selection control, and how you can solve the hotkey problem (fast switching among base, productive buildings, attacking unit groups etc.). A) Always show friendly unit healthbars - it helps you quickly identify which units are healthy and which are not, as well as their relative locations. B) Put a little bit of the diffuse / colour texture into emissive of units and structures (it does not have to be much, maybe as low as 5%) - this will help them be visible even when they are in shadow. Thank you for your suggestions. I agree! Destroyed buildings should disappear in a more sophisticated way, I will work out something. I am using navmesh and behavior trees, detour crowd for avoidance. Seems like the movement component does the highest impact on the performance. I'll try to customize/ optimize it for higher unit count. My goal is to support 200 units / game with smooth FPS. At the first round I am trying to achieve it with built in components. It would be a very huge task to rewrite it from scratch especially the networking part. I see you did some work on this topic. Can you suggest me something in this regard ? VR control is quite precise, after some practice it's comparable to mouse control. It's like you have 2 virtual mice. Hotkeys are another story, have some ideas and will do some experiments. I see you did some work on this topic. Can you suggest me something in this regard ? Thus with my system I have no networking experience yet, only in planning phase, which is probably going to be hard, but luckily only a movement vector should be passed over the network, and prediction also can be solved by passing the next 1 or 2 tile coords of the path (or just the tile index and coords can be calculated on client). I take part also in a FPS/RTS project where I work with characters, aicontrollers, navmesh, BTs, and surprisingly its performance is fine locally with about 50 skeletal mesh based characters, but not yet tested in a real network with a crowd of AIs... hopefully it can be done soon and we can compare our experiences better. Last edited by sivan; 03-22-2017, 04:42 AM. Thanks for your suggestions! I'll do some tests with your recommendations. Long time i have not seen so sweet style game after Generals, Tiberium wars 3, Red alert 2/3. Very good and very fluid movement. Looks great! I though it was a bit odd for the controllers to cast shadows. How's this coming along? Been a big fan of your work ever since the Red Alert 2 VR showcase. I'm a huge fan of the RTS genre and would love to help test stuff if necessary. I've got an HTC Vive of my own - with room scale.